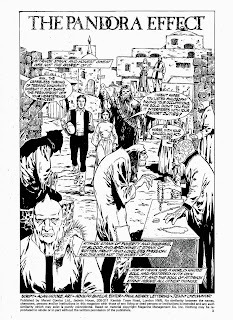 This is the sixth of seven parts of Chapter Four of The Last War in Albion, covering Alan Moore's work onDoctor Who and Star Wars from 1980-81. An ebook omnibus of all seven parts, sans images, is available in ebook form from Amazon, Amazon UK, and Smashwords for $2.99. The ebook contains a coupon code you can use to get my recent book A Golden Thread: An Unofficial Critical History of Wonder Woman for $3 off on Smashwords (the code's at the end of the introduction). It's a deal so good you make a penny off of it. If you enjoy the project, please consider buying a copy of the omnibus to help support it. The stories discussed in this installment and the next are currently in print as part of Dark Horse's Star Wars Omnibus: Wild Space Volume 1. Edward Kelley received his vision of Babalon. I am the daughter of Fortitude, and ravished every hour from my youth. For behold I am Understanding and science dwelleth in me; and the heavens oppress me. They cover and desire me with infinite appetite; for none that are earthly have embraced me, for I am shadowed with the Circle of the Stars and covered with the morning clouds. My feet are swifter than the winds, and my hands are sweeter than the morning dew. My garments are from the beginning, and my dwelling place is in myself. The Lion knoweth not where I walk, neither do the beast of the fields understand me. I am deflowered, yet a virgin; I sanctify and am not sanctified. Happy is he that embraceth me: for in the night season I am sweet, and in the day full of pleasure. My company is a harmony of many symbols and my lips sweeter than health itself. I am a harlot for such as ravish me, and a virgin with such as know me not. For lo, I am loved of many, and I am a lover to many; and as many as come unto me as they should do, have entertainment. in the white brilliance of Kether. 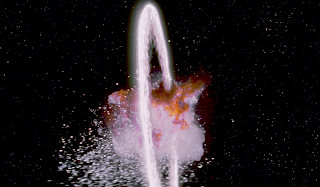 The climactic scenes of Star Wars follow this pattern with deliberate precision. As the film approaches its denouement, Luke Skywalker encounters the white-clad Princess Leia, who turns out to be more capable and competent than the entire group of adventurers who rescued her. (In earlier drafts, Leia was explicitly a member of a mystic order, increasing her goddess-like nature.) 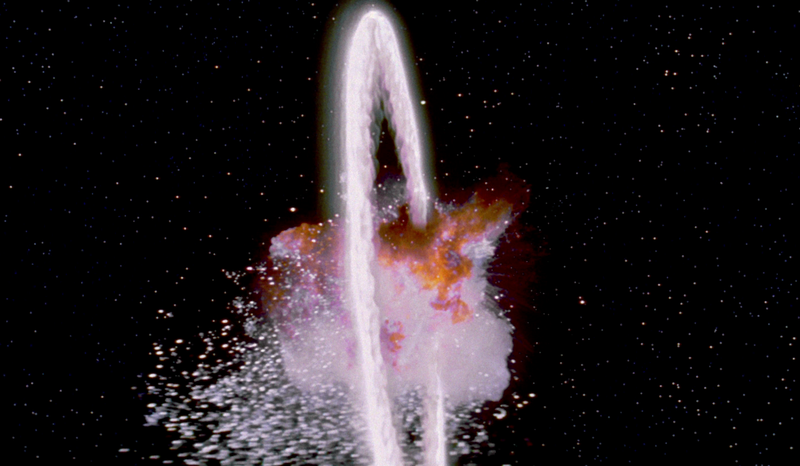 Subsequently, Luke comes to a reconciliation with the film’s father figure as Obi-Wan Kenobi sacrifices himself in a battle with Darth Vader to allow Luke and the others to escape. After this Luke himself attains the ability to “use the Force” and, with this newfound spiritual power, is able to destroy the Death Star. No wonder, then, that Alan Moore considered Star Wars to be “an utterly dreary film” that he had “no interest” in. But this did not mean that his approach to writing the comics was cynical - as he put it, “don’t turn anything down. If it isn’t something that’s interesting to you, then try to do something clever with it that will make it interesting to you.” This is consistent with everything else Moore was doing in this period; writing comics was a job, valuable because it paid the bills. The point of writing Star Wars comics wasn’t the deep and abiding passion he had for the material; it was that it was a fairly pleasant way to put food on the table. At the time Moore did his five Star Wars comics they were still sporadic windfalls to be taken alongside his earliest IPC work - irregular paydays that supplemented the week-in/week-out income of his self-drawn work, which he didn’t really start to back away from until he got regular assignments. In other words, he unashamedly needed the money. Accordingly, he approached the job as a professional. Indeed, it’s arguable that his relative detachment from the material improved his work. The process of finding a way to make Star Wars interesting to himself and the process of finding an innovative take on the material are, after all, relatively similar. This does not, however, mean that Moore succeeded straightforwardly. Indeed, his first Star Wars comic, in The Empire Strikes Back Monthly, is a deeply insipid affair. At fifteen pages it was by some measure the longest single narrative Moore had written by that point in his career, and there’s a sense that the structural complexities opened by having that much space to play simply overwhelmed him. The story has Moore’s usual poetic lilt - he describes how the planet of Attahox “stank of poverty of and disease, of blood and bad wine. It stank of rotten fruit and loveless passion. And this was not the worst of it…” For Attahox was a world whose soul had festered in its own futility. And the soul of Attahox stank above all other things.” But this description, compelling as it is, is part of a five page lead-in to Moore’s main plot in which essentially nothing happens. It’s the sort of thing Moore more capably dispatches in a panel or two when he’s actually under space constraints, but here allows to bloat. The strip’s actual idea is a ship occupied by a group that describes themselves by simply saying “we are five” - a group that worships “the Left-Handed God. The Soulworm. The Lady with the Locust Heart.” The story traces Han Solo, Chewbacca, and Leia as they try to escape from this horrific ship, which they ultimately accomplish by freeing Wutzek, a demon imprisoned onboard the ship. Wutzek destroys the five and frees our heroes, who fly off, being glad that whatever they’ve done by unleashing Wutzek’s might “they’ve done it in an Empire-held section of space.” The ideas here are interesting enough, but the plot structure is flaccid. There is no sense of build or development, and no gathering sense of tension as the characters are pulled deeper into the depraved world of the five. final page of "Dark Lord's Conscience"
But once Moore settled back down to the short story length his structural strengths returned. “Dark Lord’s Conscience,” for instance, is a tight little six-pager (although it was originally published with its final page missing due to an editorial mistake) focusing on Darth Vader. 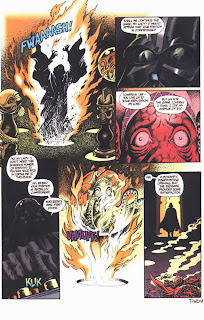 The story features Vader playing a game called Firepath in which pieces are routinely consumed in flames against a talking octopus named Lady Dhol. Paralleled to this is the story of a plot against Vader’s life. In the story’s final two pages Vader turns the tables as it turns out he has been playing the game so as to allow him to incinerate both his would-be assassin and Lady Dhol herself, who was in on the conspiracy. It is, on the whole, a nice little piece, and the one most grounded in Star Wars itself, focusing as it does primarily on the character of Darth Vader as opposed to on introducing strange new concepts to the Star Wars universe. 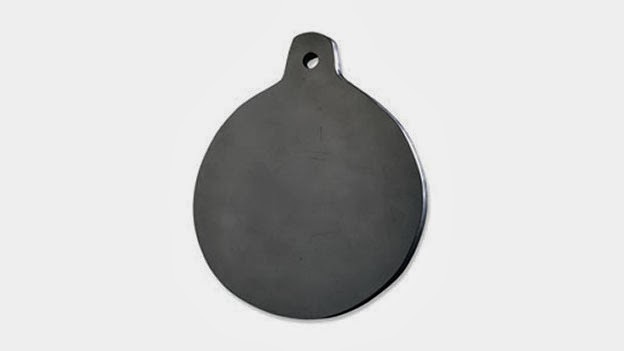 A similar sort of tight structure is obvious in “Rust Never Sleeps,” which marks the first time in Moore's career that he worked with Alan Davis. The strip is a model of tight plotting. The plot is simple - C-3PO travels to a planet dominated by a junkyard for defective droids in order to warn them of the Empire’s desire to strip the planet of metals. He meets the ostensible leader of the droid civilization, Brother Fivelines, who informs him that the droids are a pacifist society who consider the junkyard to be “the living body of God,” as the myriad of abandoned droids “corroded and fused together” to become “the sum total of all droidkind’s hopes and aspirations, the resting place of our souls.” Inevitably, the Stormtroopers arrive and promptly vaporize Fivelines, at which point his belief that the planet is a living god is borne out as the planet begins pelting the Storm Troopers with bolts from abandoned droids before the ground itself opens to swallow them. There’s a calm efficiency to this structure. First the story’s premise is introduced - a planet of abandoned droids with its own strange religion. C-3PO expresses disbelief in the religion. Antagonists show up, and C-3PO’s doubts are shown to be wrong. The end. Its plot differs from Black Legacy only inasmuch as in Black Legacy the central characters are the villains, and so their failure to appreciate the supernatural forces around them means they die horribly, whereas in “Rust Never Sleeps” the central character is the sympathetic C-3PO, and so instead he watches as other people who are cruel in their disbelief die horribly. Structurally both are straight lifts of countless horror stories. 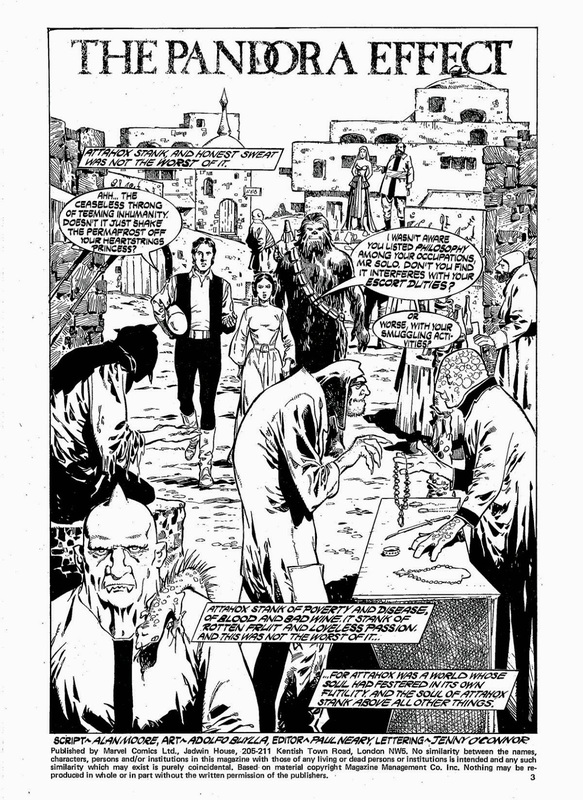 “Rust Never Sleeps” fits in with things like “The Fall of the House of Usher” and At the Mountains of Madness in which the story is narrated by a lone survivor, whereas Black Legacy fits more with “The Shadow Over Innsmouth” or Frankenstein in which the bulk of the story is told from the perspective of a character who does not make it out, the story serving as a sort of last document of the doomed protagonists. But the cleverness of “Rust Never Sleeps” is not primarily in the fact that it is a by-the-books horror story. Rather, it is in the fact that it is not a horror story at all, even though its basic plot structure is straightforwardly lifted from one. The structure is really just a platform for the real point, which is an exploration of the basic idea of a robot god. Tellingly, C-3PO drops out of the narrative at the end. Once the Stormtroopers arrive at the end of the third page, his role is superfluous. He begs Brother Fivelines not to confront them and bemoans how Fivelines didn’t listen to him while he’s vaporized, but that’s his final line. The remaining page and a half of the story consist only of the droid god’s rising up to defeat the Stormtroopers. C-3PO doesn’t even get a full appearance after it - he appears cut-off on the side of one panel on the last page, but the story has nothing to do with him. Instead it focuses on an extended narration ruminating on the nature of the god of the droids. Leia seems to have a low bar for what constitutes philosophy. So is the hero's journey just for guys? Because it seems to other anything female to such an extent that I can't really see it working with a female protagonist. The important thing to remember about the journey is that everything in it is a metaphor. The Goddess/Temptation doesn't have to be set up as a Madonna/Whore dyad for a male hero, though it often is in ancient (and not so ancient) mythology. The Mother archetype is apt, but not necessary, for the underlying purpose of "purging, balancing, and initiation of the mind into the nature of the visible world." It is the realization that the body of the Universe is what gives life, and demands death. Material existence is simultaneously good and evil -- or better yet, beyond good and evil. The boon of union with the Universe as the jewel of the Divine is amor fati, "life enjoyed as the encasement of eternity." The mystical union of Love and Death is often portrayed as a Wedding, because it's an apt metaphor, but it doesn't have be heterosexual -- or sexual at all. For example, in Curse of the Black Spot, the Meeting with the Goddess is portrayed with the Siren as the Goddess. The Doctor, Avery, and Amy Pond all willingly submit themselves to a process that looks like Death but are completely infused by Love. The Siren is both Healer and Destroyer -- and, as we find out, the Power of the Other Side; she is also the "father" of the spaceship. Amy agrees to take care of Rory, which is her "at-one-ment" with the Siren; she becomes Rory's Siren and responsible for bringing him back to life. The Siren isn't really a woman, of course -- it's a computer program, which in itself is an interesting metaphor for the Universe -- but a projection realized from the subconscious of the pirates. Likewise, "temptation" can come in many forms. Going back to Black Spot, it's in the form of Treasure. Avery succumbs to temptation; Amy does not. Usually Amy's temptation rears up in her attempts to resort to violence, which often leave her in the form of a monster. In Buffy the Vampire Slayer, it's Angel who's Buffy's temptation. For Rose in Season One, her Father becomes temptation -- the desire to keep him from dying. 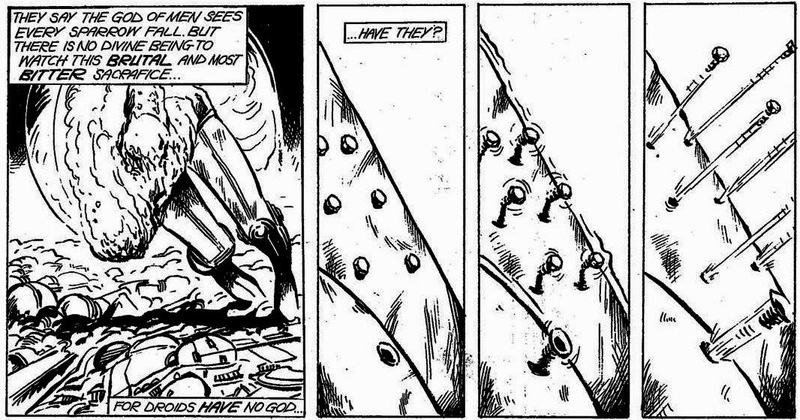 Nancy is Rose's proxy for Meeting with the Goddess, which is actually the field of nanobots. Her "at-one-ment" is with the Doctor, accepting his values; her apotheosis comes from looking into the Heart of the TARDIS. But the Campbellian framework is better suited for identifying the nature of the kinds of work that happen on the path to Ascension, rather than charting out the exact path. Consider The Beast Below, which overtly borrows the Belly of the Whale iconography. In this episode, Amy's memory is erased, and she has to recover it -- she has to remember, which is of course a huge theme in Moffat's era. The Belly of the Whale, in Campbell's view, is framed in terms of Death and Rebirth, which allows the Hero to leave behind the Ordinary World and fully step past that threshold into the Special Place. This reference lets us deduce that forgetting=dying and remembering=rebirth; it coincides with Amy letting go of her previous morality (don't passively try to protect the Doctor from making a hard choice) for the morality of the Doctor's universe (make the hard choice yourself, if so inspired.) This comes into play at the end of the season, where Amy's remembering of the Doctor confers his rebirth -- and likewise, where the "memory" in the Pandorica (i.e., hope) confers the rebirth of the Universe itself. Interestingly, Amy quips at the beginning of Beast Below that she's been "dead for centuries" after opening the episode "floating in space." Which is why I didn't say "being written by Lucas". The joke was, in part, intended to be the absurdity of my treating her as a real person whom Lucas had created, and whose personality was therefore set in a manner Moore could do nothing about. Actually, in I think this scene she's being bitingly sarcastic about Han's trite observations rather than actually believing they constitute "philosophy". And I would have pointed that out earlier if it hadn't interfered with my cheap jibe. To be fair... Lucas might have written worse dialogue, but at least he would rewrite it several times and enlist the help of less-tin-eared colleagues to not have it sound as blocky and unspeakable as what Moore wrote for the characters.